Enid wrote her memoir in her old age, but it principally covers her life only until her marriage to the arachnologist George Hazelwood Locket in 1944. Its catalogue entry is available online. The memoir is colourfully written and describes her childhood, time at Oxford University and LSE, and her 1921-1927 role of Secretary to the Advisory Committee to the Lord Chancellor. It also describes her life at Lincoln’s Inn 1922-1927, and her subsequent legal career. She worked as a barrister in the south-eastern circuit and the Central Criminal Court, and had a long-standing role as the first Legal Advisor to the John Lewis Partnership. The memoir gives a vivid picture of life in the early days of women’s work at the Bar and the challenges they faced in the course of their duties. 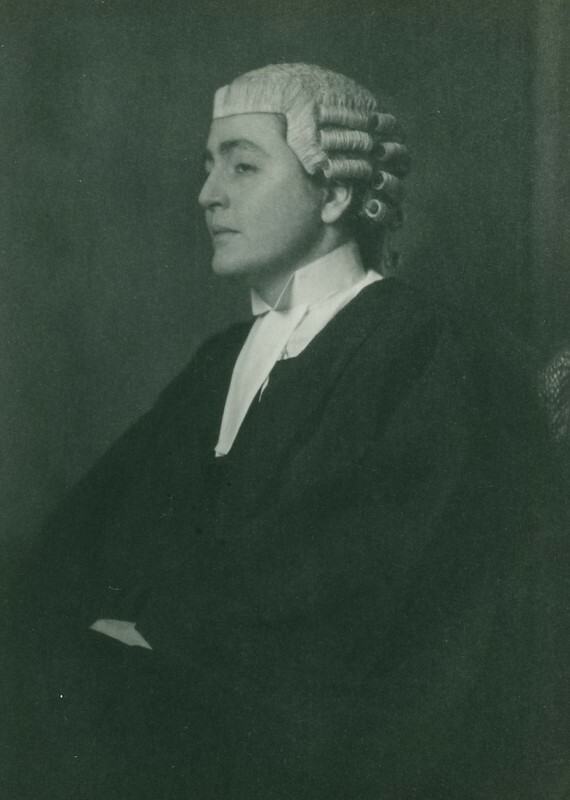 In addition to Enid herself, several other early female lawyers appear within the memoir’s pages, including Ivy Williams (the first woman to be called to the English Bar), Helena Florence Normanton (the first woman to practice as a barrister in England), Elsie Bowerman, Chrystal Macmillan and Rose Heilbron, who were one of the first two female KCs and the first female judge. The papers of Helena Florence Normanton, barrister and feminist campaigner (7HLN) and the scrapbooks of Miss L F Nettlefold, lawyer (10/07), are held in the Women’s Library@LSE collections. LSE Archives holds the records of Jean Henderson, barrister and Liberal candidate (HENDERSON). I spent my time at the School of Economics attending lectures in a desolatory way and arguing endlessly. It was an astonishing place, very left wing under Professor Tawney and his like, with students of every age and nationality and no colour bar. From 1:30 to 2:30 every midday we all danced in the common room boisterously and gaily, blacks and whites and yellows, all uninhibited and mixed up. It was education in its widest sense and I cannot pretend that the intellectual standard was very high, frankly it was academically very second rate and after standards set by Oxford it was difficult to take it, in that respect seriously. It was of course in its early days and if I remember rightly the later to become Lord Beveridge (then Sir William) was Principal. Some of the students were hardly literate, and it was the home of half baked Marxists. I got very tired of dialectical materialism and somewhat depressed at the world they wanted to build. But it was in many ways stimulating and highly moral, very much alive and concerned with world problems and then their theoretical solution.